This HOT Holiday toy is available for pre-order now! 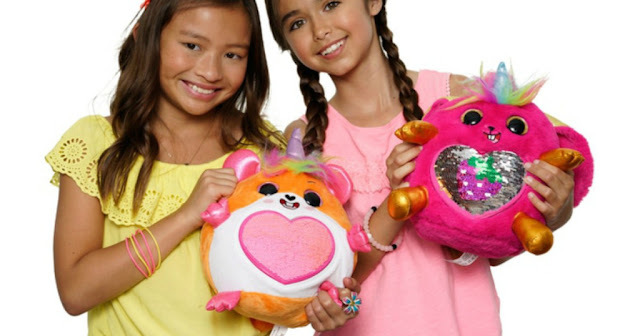 Head over to Amazon.com where you the Rainbocorn Sequin Surprise Plush Toys are available for pre-order now for just $24.99. Note that these are expected to ship on November 2nd through November 6th. These fun Rainbocorn Sequin Surprise toys hatch from their own GIANT surprise egg to reveal a surprise design under their sequined hearts. All 12 hearts have different surprises, and are removable to wear or share with friends.